We are Lucknow's most trusted and best Haj and Umrah Tour Organisor. "Better Service is our motto, which drives Mirza Tour & Travel to offer and organize all travel related services under one roof. 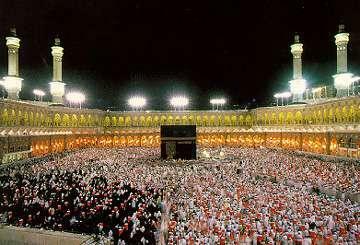 Haj-Umrah Tour Organising, Domestic and International Travel and Air-Tickets, Visa Stamping Services, Travel Insurance, Forex Services, Money Transfer Facility, Religious Groups, Hotel Bookings." Haj and Umrah Tour Organising is our basic Service in Lucknow and all know it is well known and best service Firm since last 16 Years. Same this year we are giving our best service to the people of Haj and Umrah. For more details click at Haj Link as well as Umrah Link. International and Domestic Air Ticketing is our another division of serviece. We are serving people since last 15 years. We are agent of all mejor GSA and Airlines. For more details please click at Air-Ticket Link.